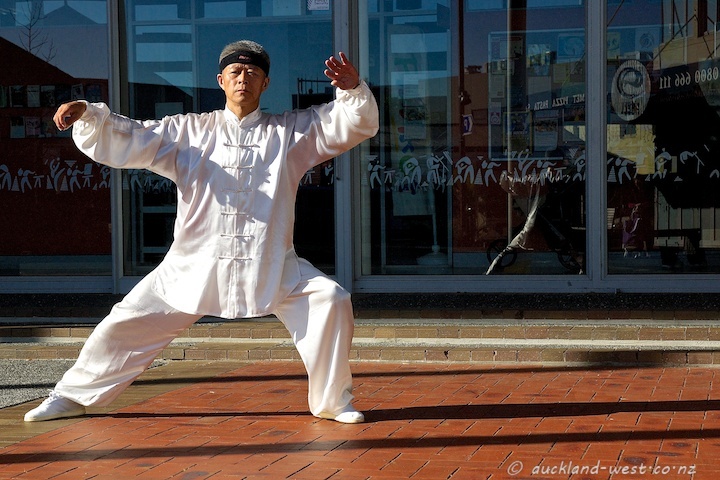 Recently in front of the New Lynn Community Hall: Master Wu Ming enjoying the sunshine and showing Tai Chi forms. Expressive and controlled movements. And a fine uniform.